We would like to know! we are considering it as a business! Your comments are welcome. 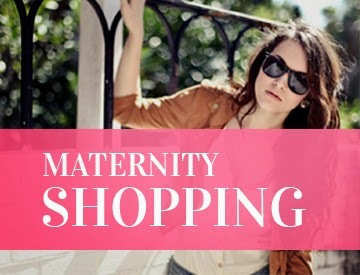 Do you shop at Plato's Closet? LOLA claims to have had ALL his babies! Okay then! 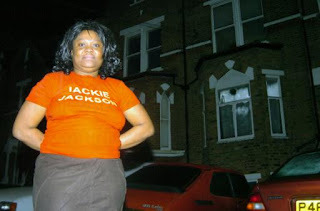 Why is she wearing a JACKIE JACKSON TEE?? What a hot mess! Quick question is that her house behind her? Does she have a mortgage on the home? or is it loan free? 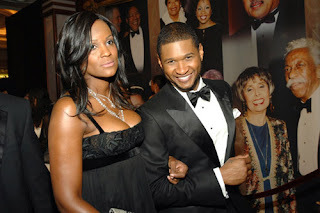 aww Usher and Tameka looking so cool! and finally Beyonce's new videos! Chiido shake body! are you feeling this? I am. Loving Amy Winehouse's rehab, please do not ask why! 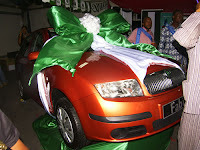 Naijagal does not need it! "No no no" I have seen the future Olori Oko video! love it love it! Well is Nicole Kidman pregnant? That is the new Tabloid question! 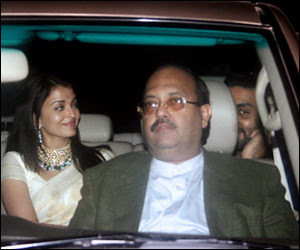 How about the upcoming wedding between Abhisek and Aishwarya? Well this is pretty much going to be the wedding of the centry in India, much like prince Charles and Diana. The only difference is that it is going to be low key. But I bet that would not stop the paparazzi from heading out there! 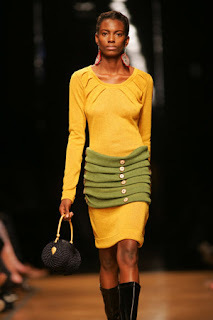 zac posen oh how I love his fashion shows! 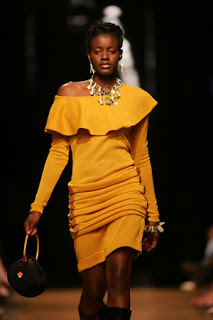 Check out his 2007 collection and listen to why he created the line! So how is your friday going? 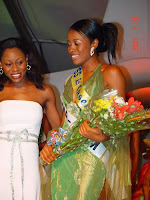 And so the most beautiful girl in Nigeria 2007 (MBGN)contest was held on March 28th, here are a couple of pictures! courtesy purefoto! The contestants in the swim wear contest! Definitely a nice grand prize if I may say so! So how is your day going? 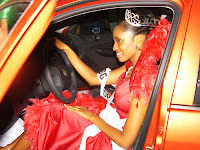 Congrats to Munachi Nwankwo from Imo State. Also check out the future awards video! 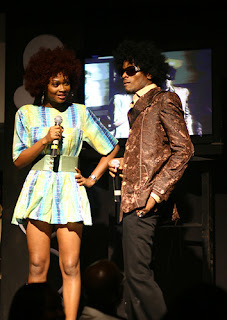 and of course DENRELE'S hair style can compete any time, or what do you say? 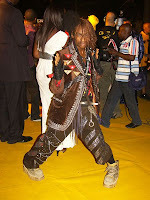 Denrele has his own style too. I have not blogged seriously in for a couple of days! I guess you can say I have been taking it easy on my well deserved break! I have been doing some research into various business interests of mine and so far so good. I will be attending a conference tomorrow of which I am excited about! Well back to the business of entertainment and Fashion. 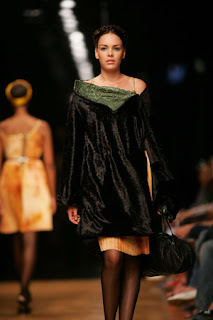 Here are a couple of designers of African descent show casing their collection at the SA Fashion show winter collection. 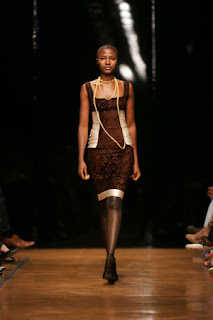 First stop is the cool designer Mzani! I just love these outfits! What do you say? I could definitely rock the second outfit. Next stop we have Thula! What do you say readers? I feel both designers have wearable styles! 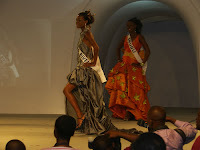 The most beautiful girl in Nigeria (MBGN) was recently held click here to view the pictures! Wow my favorite couple in the whole wide world is finally getting hitched! And in tribute to their up coming nuptials her is a clip from my favorite movie! Big B as in Amitabh Bachan looks pleased as you can see in the picture below! What do you think readers? Are you just as pleased? They have been at events and I just have to say Dakore is certainly one of the most fit and talented actresses in Nollywood. I have met her before and she was really friendly kudos to looking good. 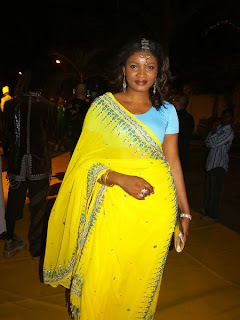 I see omotola rocking the sari, I love it. What do you think readers? Hot? Not? Well the hip hop awards were held recently. Funmi Iyanda is back and blogging! Basically she says this is her favorite awards show. 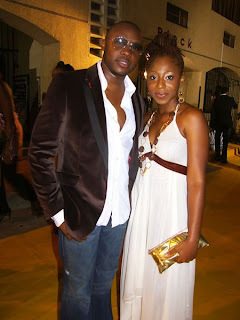 I find it interesting to note a couple of look alikes on the hip hop scene in Naija and internationally! 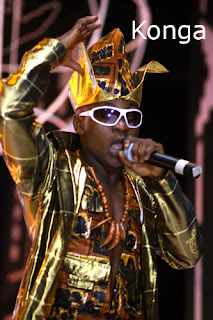 Is Konga a flavor flav clone? or what do you say readers? Next the KOKO MASTER???? 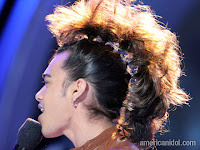 IN AFRO! DBANJ! with Tana. 1. Shade OKOYA! She rocked this outfit! 2. 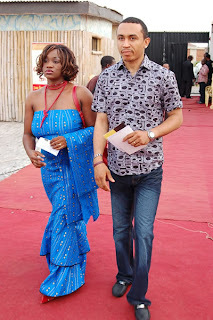 Freeze and his wife! 3. 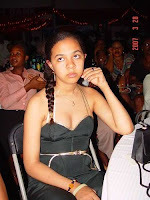 Dakore and Billionaire Harry Akande's son Olumide, Paparazzi watch out! The pictures are up on her wedding website!! 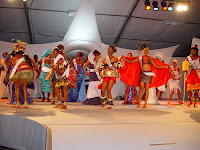 What we need to do is encourage the queens of Africa Project to create dolls with the unique culture of the African society, rather than complain about the dolls not reflecting the true African features! Be that as it may, this is a starting point for the enterprenuer who went with his dreams to provide his daugther with dolls she can identify with. 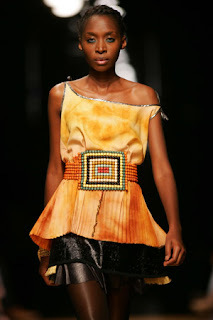 Yes in time with research the dolls would evolve to reflect the true look of the African lady. For now it is a great start. In researching the web, I found the kwanza barbie. 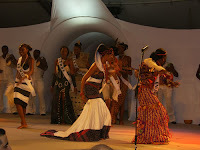 I have to admit she shows a better reflection of the African lady or what do you say ? what do you think readers? I am definitely feeling it. Next Slow wind with RKelly, I see drums again! Love it. I am having a good time, so how was your week? Here I go again! 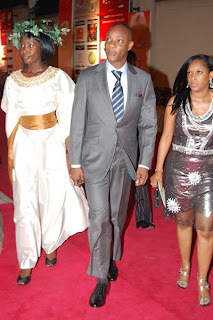 I figured why not have fun discussing what people wore on the red carpet at the annual THIS DAY AWARDS SHOW IN LAGOS, NIGERIA. This should be fun. 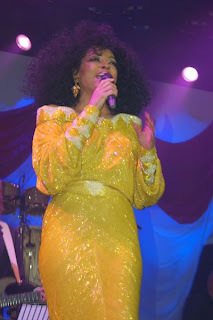 Miss Diana Ross looking all so ravishing as always! Ageless as always! 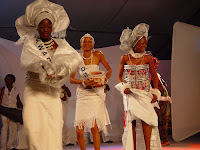 I find the style below intriguing and easy going because afterall, white is the way to go in Tropical Africa right? Red has always been a favorite of mine till today. I like her style. 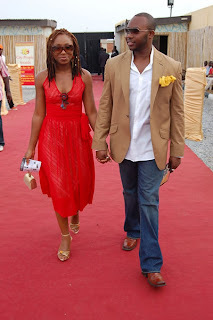 I take it this is Dare Art Alade and his dashing wife. 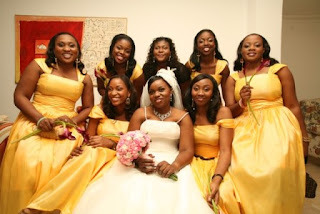 All I can say is I love the gold colored dress. 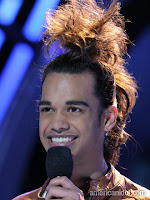 And now for the not so....Well what were they thinking? 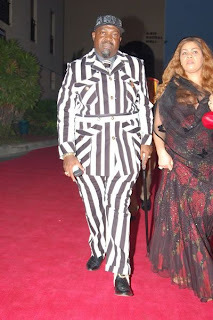 First of, if you have to wear a suit stay away from multiple stripes in all combinations! aah! 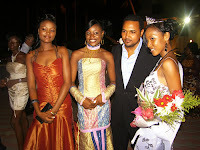 Please tell me this was a costume on this damsel because I will not go there looking like Julius Cesar's pizza logo! Well all in all, it seems as though it was a fun event! What are you thoughts? I would love to hear your comments. Say it ain't so Micheal Jackson baby mama LOLA! ITS FRIDAY PARTY TIME PEOPLE!!! REHAB? 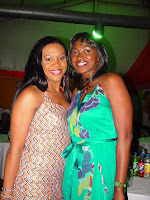 FAVORITE STYLES FROM CITY PEOPLE AWARDS! MY LIST! Want to watch Silver bird TV ONLINE!! UBAH! IS GETTING A RECORD DEAL!! ITS THE WEEKEND CRANBERRY ROCKED THE HOUSE! !